First 25 man boss down! 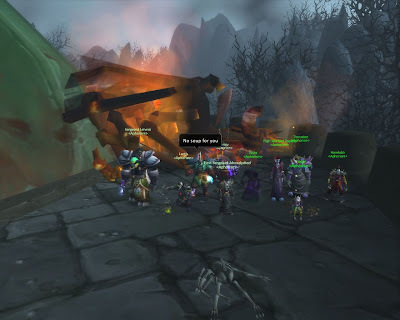 Oh look, Netherspite is down as well! And it is true. Karazhan is cleared :-). Both Prince Malchezaar and Nightbane are down. Nightbane was too tricky without a hunter though. Once Tempy came to the rescue it only took a couple of tries to be done with this beast!